CLASS OF 2019 SIGN NATIONAL LETTERS OF INTENT! ANNA MARIE GROSKRITZ VERBALS TO RIDER UNIVERISTY! LAUREN CARD VERBALS TO THE UNIVERSITY OF HARTFORD! FASTPITCH DYNAMICS' CELEBRATES 12 YEARS OF SUCCESS! CLASS OF 2018 NLI SIGNING WEEK! JENNA GEFFERT VERBALS TO COLGATE UNIVERSITY! CAITLYN FALLON VERBALS TO THE UNIVERSITY OF MAINE! ONE CHAPTER ENDS AND ONE BEGINS! SEVEN FASTPITCH DYNAMICS PITCHERS SELECTED CT ALL-STATE! KYLIE GAVITT VERBALS TO THE UNIVERSITY OF CONNECTICUT! JOCELYN BODINGTON VERBALS TO BYRANT UNIVERSITY! JULIA MURPHY VERBALS TO PROVIDENCE COLLEGE! SARA KENNEDY VERBALS TO VILLANOVA UNIVERSITY! 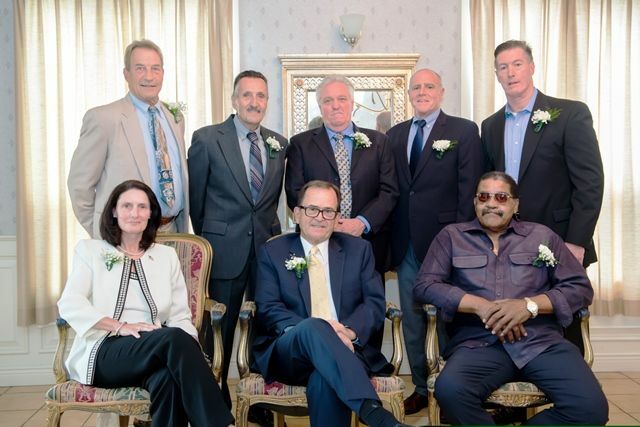 CONNECTICUT ASA HALL OF FAME INDUCTEES! It’s always an exciting time of the year when pitchers reap the benefits from their years of practice and hard work by signing their Letter of Intent to their respective schools. Fastpitch Dynamics is a pitching school that utilizes a program of dedication, hard work and commitment to excellence. Over the last 15 years, the Fastpitch Dynamics has consistently produced college bound pitchers. It’s has been very rewarding for me to see all these athletes go on to play at the collegiate level. More of our pitchers have been recruited by Division I programs then any pitching school in New England. To date, we have over 70 pitchers have gone on to pitch at the colligiate level. I am very proud to have had the opportunity to prepare these ladies for a college experience. This year I have 5 senior pitchers that have signed their “National Letter of Intent” with their respective schools. This letter is a legal document but and solidifies the player-coach relationship. In many ways is the beginning for their preparation to walk on campus and join their teams next September. It was a terrific experience working with these 5 outstanding athletes. This year’s signees are Jenna Geffert, Lauren Card, Hannah French, Julia Thompson and Jessica Persechino. Jenna Geffert will be finishing up a stellar high school career at Seymour High School in Seymour, CT with her primary goal this year to again help her team win the Connecticut Class M Championship. Jenna was instrumental in leading her Seymour High School team to an 18-1 record in 2018. Jenna also is a starting pitcher for the CT Charmers Gold softball team and then in September join her Colgate University teammates. Go Raiders! Lauren Card is a 2 time All State pitcher from North Haven High School in North Haven, CT and hopes to lead her team to the Class L Championship. Lauren plays her summer ball with the New Jersey Pride Gold-Easton team where is a quickly earning a reputation one of the best drop ball pitches on the summer circuit. Lauren is excited to begin her college career with the University of Hartford this fall. Go Hawks! 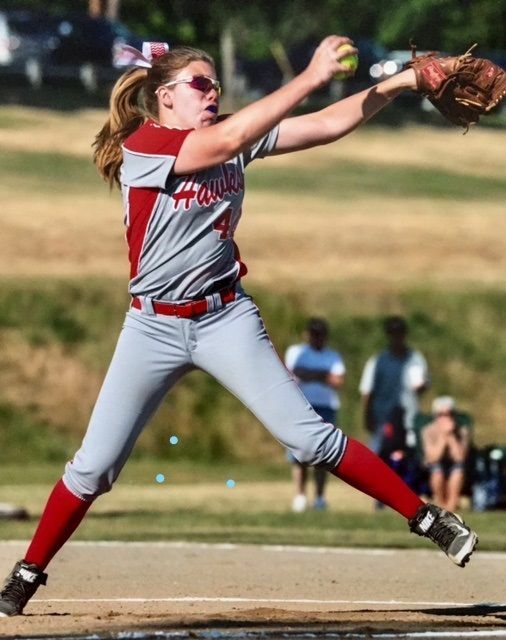 Hannah French has been outstanding pitcher from Proctor Academy in New Hampshire and will be leading a young team into this year’s high school’s season. For this summer Hannah will be continuing with the East Coast Firecrackers. Hannah will be joining to other FDS pitchers, Kari Marks and Ashley Antonazzo who are already at CCSU. Hannah is very exciting about beginning college career this fall with Central Connecticut State University. Go Blue Devils! Jessica Persechino, was recruited by Saint Anslem’s College as an impact player who will see action in the infield, outfield and pitch. Jess is outstanding athlete from St. Paul’s High School in Bristol, CT and lead last year’s team to a 17-3 record and to the Connecticut Class S Quarterfinals. Jess will be playing for the CT Lady Knights this summer. Saint Anslems University is fortunate to recruit such a talented and versatile player. Go Hawks! Julia Thompson, who is from Troy, NY who has been the #1 pitcher for her Lansingburgh High School team for the last 3 years and recently was invited to pitch for the PA Strikers Gold team this summer. At 6 foot, Julia is an imposing presence in the circle and is looking forward to beginning her college career at Niagara University. Go Purple Eagles! I am very pleased to announce that Anna Marie Groskritz has made her verbal commitment to play softball and continue her education at Division I Rider University. Anna Marie has been taking pitching lessons from me since she was 9 years old so it is has been especially exciting for me to hear this terrific news. Anna Marie is the daughter of Peter and Mary Groskritz of Granby, CT who are incredibly proud of their daughter for being awarded an athletic scholarship to Rider, but also for all of her hard work in the classroom earning a 3.85 GPA. Over the time Anna Marie has been at Fastpitch Dynamics, Mary, Anna Marie’s mom, has done all the catching for Anna Marie with some help from her older sister Samantha who was outstanding high school catcher in her own right who went out to play at SCSU. I’ve been teaching for over 15 years now and I can honestly say Anna Marie’s family is one of the most supportive families I have had to pleasure to have known. This is a perfect example of what a consistent training program can do for motivated and focused pitcher. Anna Marie is an outstanding athlete who plays softball and soccer at Granby Memorial High School. As a high school sophomore Anna Marie was a 5-Tool player rotating from shortstop, to centerfield and to pitching. Last season Anna Marie went 7-0 as a pitcher, had an ERA of .60 and a batting average of .373 earning All-Conference honors. With Kari Marks Granby’s outstanding pitcher graduating going on the play at Central Connecticut State University, Anna Marie will take over the pitching duties at Granby Memorial and hopefully lead Granby back to the CIAC Finals this coming season. This summer, Anna Marie will be playing for the outstanding CT Eliminators Gold coached by Wayne Card. The Eliminators will be playing an aggressive schedule playing in some of the most competitive tournaments in the Eastern US. As Anna Marie prepares for her high school and summer seasons and for her college career at Rider University, I am confident Anna Marie will be become an outstanding college student-athlete. She is already a terrific young person. Congratulations Anna Marie…….you did it! I am very pleased to announce that Lauren Card has made her verbal commitment to play softball for the University of Hartford. 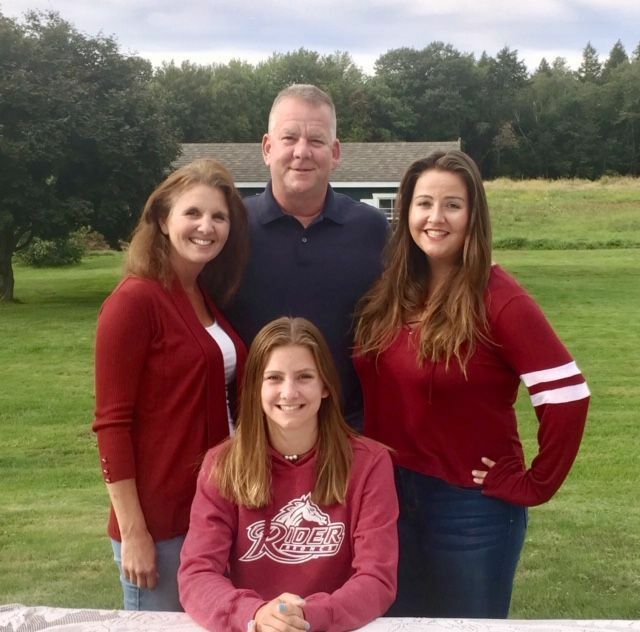 Lauren’s parents, Wayne and Michele Card were thrilled that Lauren chose the University of Hartford since her decision was not solely an athletic decision but an academic as well. Lauren will enter the Barney School of Business with the goal of getting her MBA in accounting. Lauren was so impressed with the school and new coaching staff of Angie Churchill and Samantha Esque, her decision was made much easier. Lauren is a junior at North Haven High School in North Haven, CT and is in the Class of 2019. Last season Lauren led the North Haven High School Indians to a 17-3 record and went on to be a CIAC Class “L” All State selection. Lauren has always been very active in travel ball and started playing with the 10U CT Eliminators where the team was coached by her dad Wayne Card. That same CT Eliminator team dominated their competition for last 6 years playing in both local and regional tournaments. Last summer Lauren tried out for several high competitive Gold Programs and decided that the Rob Stern's NJ Pride Easton Gold was the best fit for her. After having an outstanding summer and fall playing for the NJ Pride Lauren gained the interest of many Division I programs but decided on the University of Hartford. It was a very difficult decision for Lauren but the University of Hartford was clearly the best choice. University of Hartford Head Coach Angie Churchill were so impressed with Lauren, they presented an offer almost immediately. For a pitcher who is small in stature, Lauren throws very hard and features and outstanding Peel Drop and Change-up. Since there are not many drop ball pitchers available they are in high demand and Lauren was so exceptional Coach Churchill was not about to let her go. Lauren has very specific softball and academic goals and based on her drive on the softball field and I believe she will be successful. Congratuations Lauren! We are all proud of you! This holiday season represents the 12th year of operation for Fastpitch Dynamics, LLC and 15 years giving pitching lessons. It is remarkable looking back over the years how much we accomplished. If success is measured by achieving a goal, then Fastptich Dynamics was incredibly successful with our goal to pitch at the collegiate level. I say “we” because at Fastptich Dynamics its always been a collective effort between the softball families and myself to insure the requirements of my program are met. It’s remarkable what can be accomplished by adopting and embracing a consistent program of training to include, weekly pitching lessons, practice assignments, academic standards, goal setting and challenging these young pitchers. Over the 12 year history of Fastpitch Dynamics over 62 pitchers have gone on to pitch or will pitch at the collegiate level, 32 of the pitchers receiving Division I scholarships. I am incredibly proud of all my pitching students understanding how challenging it is to pitch at the college level. In the end it's their shere determination which drives the process. These are all exceptional student athletes. I would like to thank all of my pitchers and their families for the opportunity to train and help me create a very special organization and look forward to working with even more dedicated young pitchers. In a real sense making dreams come true is what we do at Faspitch Dynamics and it remains a very special place indeed. "Some people dream of success while other people get up every morning and make it happen." The NCAA National Letter of Intent signing week is always exciting for those of us who have chosen softball as our careers but especially for all the players and their families. We all understand the enormous amount time and effort that is expended these athletes to achieve one goal.....to pitch at the Division I level. Their commitment and dedication to the sport and to their chosen position is remarkable. It represents much more then the pitching lessons, the practice pitches, the traveling and the conditioning, but all the other sacrifices these athletes make year in and year out. There is little time for parties or activities in their schedules. The soul motivation for these women is that raw desire to complete and prepare for a college softball career. I am enormously proud of the pitchers from Fastpitch Dynamics who recently signed their NLI's to their respective Division I programs. From left to right in the above photo. Kari Marks to Central Connecticut State University, Sara Kennedy to Villanova University, Kylie Gavitt to University of Connecticut, Jocelyn Bodington to Bryant University, Savannah Small to Niagara University, Julianne Kocenski to the University of Hartford and Angela Saric to St. John’s University. It is especially noteworthy that the schools they will be attending were their top choices during the recruiting process. A process that will test the patience and endurance of players, parents and coaches. Because the process so daunting, it makes this signing week even more gratifying. For myself, it reminds me why I find pitching instruction so rewarding and hope my health allows me to continue teaching this wonderful sport. After playing, coaching and teaching this sport for over 5 decades, I find this the most enjoyable part of all. I would like to congratulate the Fastpitch Dynamics’ pitchers for their official commitment this week and remind everyone will still have several months remaining to train and prepare for the spring, summer and their softball careers as they walk on campus in the Fall of 2018. Way to go ladies........you made it! I am very pleased to announce that Jenna Geffert has made her verbal commitment that she will be attending and playing Division I softball at Colgate University! 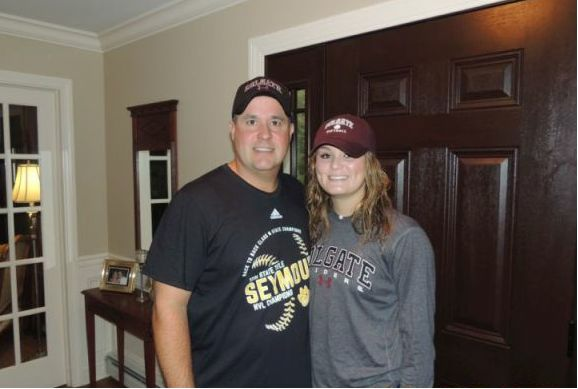 Jenna’s parents, Jim and Rhonda Geffert of Seymour, CT are thrilled that Jenna will be attending Colgate University. It is an ideal academic choice for Jenna, since Colgate which is ranked #12 in the latest edition of “US News: Best Colleges”. Jenna’s decision was relatively easy based on the Colgate coaching staff and beautiful campus. Moreover, Colgate is in the Patriot Conference which positions Jenna to possibly pitch against her sister Raeanne who will be a senior when Jenna begins her college career. How exciiting for Jenna and the Geffert family! When Jenna attended a recent camp at Colgate, she was prepared to shine. Jenna had a lot to prove and Colgate was an ideal venue for her to do that. Jenna had an outstanding camp and the Colgate coaching staff were very impressed. I personally spoke to the Colgate coaches over the last few weeks and they are very excited to have Jenna as commit and told me that they were taken back with her spins, her tenacity and competitive personality. Colgate made Jenna a generous offer which she accepted on the ride back to Connecticut. Jenna started in my college program in December of 2016 and with the help and support of her dad, Jim they wents to work. Jim was a valuable member of our team with close to 20 years catching experience on the bucket. 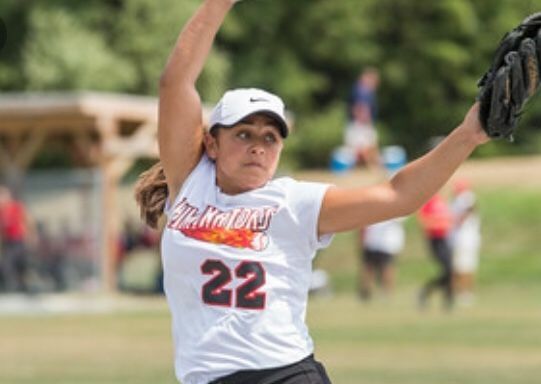 Jenna’s goals were ambitious but simple…hit 60mph, win the Connecticut Class M Championship and get recruited to a Division I program. Those are major goals for any young pitcher and require a total commitment of time and energy. I am proud to say that Jenna achieved all those goals this year which is an amazing feat. Jenna actually hit 62mph and went 18-0 for Seymour High School and posted a 1.57 ERA. Over the last year, I watched Jenna's progress during her lessons, her high school games and this summer where Jenna pitched for the CT Charmers Gold team. I could tell the Jenna was a driven pitcher who would only expect the best from herself and through that leadeship made the players around her better. I also had the chance to see how she coped with the recruiting progress and how she overcame a myriad of adversities. Not only did Jenna come through those adversities unscathed but they made her stronger. After watching and getting to know Jenna, I can say that Jenna is one of most competitive and dedicated pitchers I have worked with in the 15 years of teaching and coaching softball. She has possess a unique combination of poise and edginess qualities many pitchers lack. I have little doubt that Jenna will be successful whatever she decided to do in life. It has truly been as pleasure to work with such a fine young athlete and I look forward to continuing our training. As Jenna starts preparing for high school, travel ball and her collegiate career I believe she has a few more surprises for her friends, family and coaches. Congratulations Jenna. We are all proud of you! I am very pleased to announce that Caitlyn "Cat" Fallon has made her verbal commitment to the University of Maine. Caitlyn is the daughter of Michael and Jennifer Fallon of Warwick, RI. She's in the Class of 2019 and attends Pilgrim High School in Warwick, RI, where she both pitches and plays shortstop for the Patriots. Caitlyn also plays for the Rhode Island Thunder Gold-Wilson team based in Plainville, MA. Caitlyn came to me two years ago seeking to improve her mechanics and speed and from the very first lesson it was clear the girl was all in! She always had an infectious enthusiasm during her pitching lessons and always brought with her a sense of commitment. Caitlyn's drive and work ethic was very apparent and nothing would stand in her way. After 2 years of hard work and dedication, Caitlyn gained 8 mph as she began her summer schedule in 2017. I had several college coaches interested in Caitlyn's potential but it was Head Coach Mike Coutts from Maine and his on-campus pitching guru Lynn Coutts who also doubles as his lovely wife that made a special connection with Caitlyn. 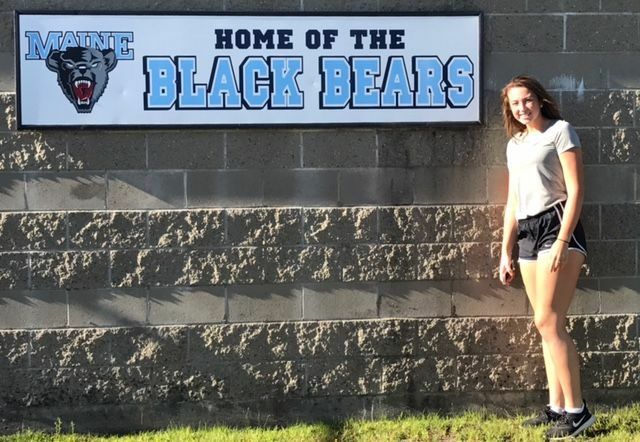 After visiting the University of Maine campus in the fall Caitlyn made her verbal commitment to be a Maine Black Bear. I look forward to working with Caitlyn for the next two years to prepare her to what's in store for her in the America East Conference. If Caitlyn continues her hard work I am confident Caitlyn will become an outstanding college pitcher. Congratulations Cat! Go Black Bears. In September, Fastpitch Dynamics will begin its 14th season as the premier pitching school in Connecticut. 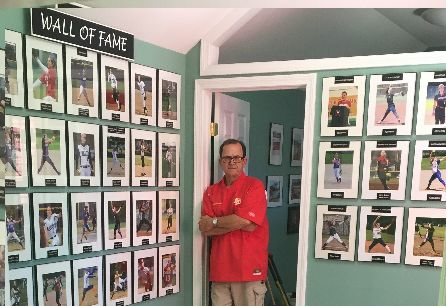 For the last 12 years I operated Fastpitch Dynamics in a custom built pitching studio in Granby, CT which served me, my pitchers and their families very well. In that time I had over 60 pitchers go on to pitch at the collegiate level, 30 of them to Division I programs. I remain very proud of that accomplishment. This fall I will begin our training in a new location in Bantam, CT. I made a decision to lease a larger facility to accommodate a larger demand. This year families travel to FDS from many areas to include Massachusetts, New Hampshire, Rhode Island, New Jersey, New York, Pennsylvania and naturally Connecticut. This is an exciting time for me as we move forward into a new chapter for Fastpitch Dynamics. I want to be sure to congratulate my 2017 pitchers that are continuing their softball careers in college. I want to wish them all the very best. 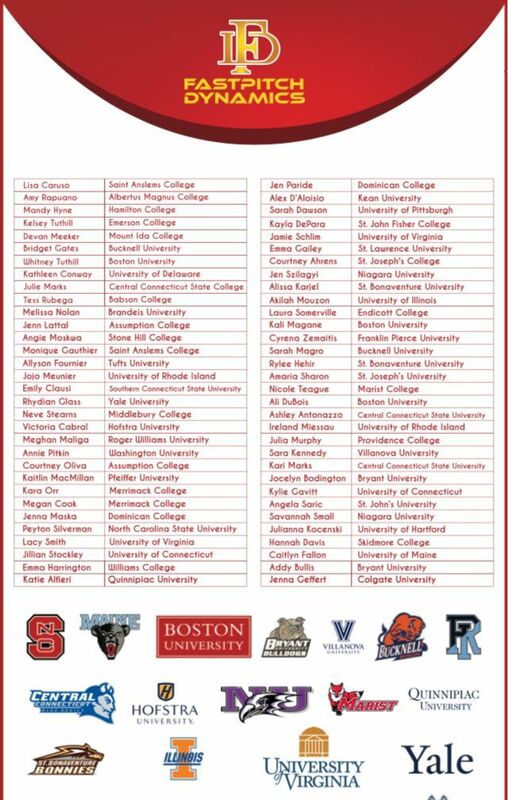 They are: Ali Dubois-Boston University, Nicole Teague-Marist College, Julia Murphy-Providence College, Ireland Meissau-University of Rhode Island, Sarah Magro-Bucknell University, Ashley Antanazzo-CCSU and Cyrena Zemaitis-Franklin Pierce University. Good luck ladies! As last years graduating pitchers begin their college careers a new group of talented pitchers begin their training at Fastpitch Dynamics! They include Kate Powers, Erin Girard, Sam Sylvester, Alannah Browne, Julia Thompson, Jenna Geffert, Brynne Baker, Angela Saric and Jules Kocenski. Finally, I would like to say how fortunate I’ve had the opportunity to work these talented athletes over the years and to become friends with their families. As a teacher of the sport I feel I’ve had the opportunity to make a difference in all their lives and for that I am very grateful! 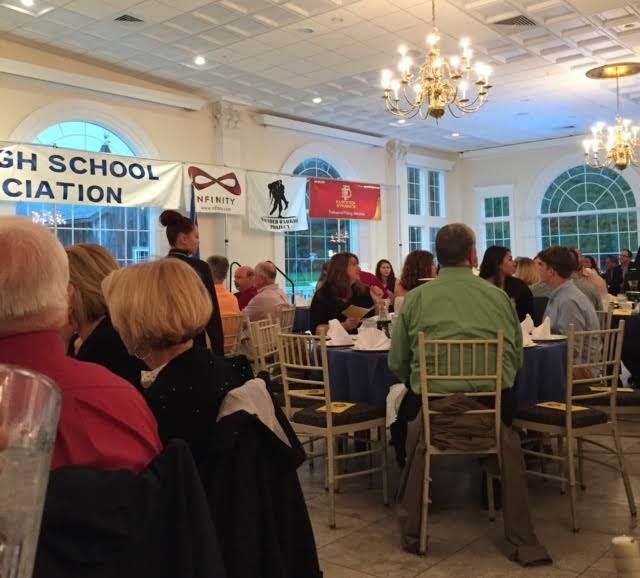 Each year the CHSCA holds their annual banquet at the Aqua Turf in Southington to honor their members but more importantly to honor softball players from across Connecticut. Its a wonderful event and gratifying to see talented players be recognized. This year, Fastpitch Dynamics had 7 pitchers honored. Being selected All-State represents commitment, hard work and dedication. But all these pitchers understand without the help and support of their teammates and coaches these awards would not be possible. The following are the All-State pitchers: Erin Girard from Bristol Eastern, Lauren Card from North Haven, Kari Marks from Granby Memorial, Hannah Davis from Stafford, Ashley Antanazzo from Pomperaug, Cyrena Zemaitis and Ali Dubois from Torrington. Ali Dubois was also selected All Academic as well. Congratulations ladies! It is a great pleasure to announce that Kylie Gavitt has made her verbal commitment to the University of Connecticut. As it is for most elite pitchers, making a final decision on a college is a very difficult decision. Kylie moved through the process with the guidance of her parents, Jeff and Laura who have been unwavering in their support throughout Kylie’s softball career. For the Gavitt family it was always seeking the best for Kylie especially with her education. Kylie had to balance her academic, athletic and personal needs in selecting the best school for her. From the start of Kylie’s college search, UCONN was always atop her list. It was her dream school. As Kylie contacted college programs, attended clinics, and showcases she remained objective and followed up on every opportunity. Kylie was very flattered she was recruited from in schools in the American East, Patriot and Big East Conferences. Then Kylie was invited to attend UCONN’s skills clinic this past January. It was after that clinic she was invited on a unofficial visit to meet with the UCONN coaching staff, the team and tour the campus. After the visit it made her decision much easier. In the end, the best fit for Kylie was UCONN. Kylie played her youth softball in Poestenskill, NY and started to play travel ball for the local “Lady Royals” organization at a young age but in 2016 made the change to the Worcester Hawks Gold out of Worcester, MA to get more college showcase exposure. Kyle also pitches from her Averill Park High School team which in 2015 won the New York State Division I title. During the 2016 high school season Kylie posted record of 16-4. During the summer of 2016 Kylie had a great summer pitching for the Worcester Hawks and continued that momentum into the fall doing on-campus clinics. Kylie saved her best performance during the “Top Prospects Camp” held on Long Island, NY in January of this year. After that showcase, I was contacted by several college coaches saying that Kylie was an outstanding prospect! Kylie came to Fastpitch Dynamics the summer of 2015 and has been nothing but a pleasure to coach. Kylie was an ideal student, listening and applying everything she learned in her pitching lessons. She was polite and communicative and always did the required work. I was not surprised the Kylie would garner so much interest last summer and had no doubt she would get recruited. For Kylie, I am very optimistic she will continue to develop and continue her success on the University of Connecticut. Congratulations Kylie and GO HUSKIES! I am thrilled to announce that Jocelyn Bodington has made her verbal commitment to attend Bryant University. Jocelyn made her decision earlier this year after visiting the Bryant campus. Jocelyn’s mom and dad, Chris and Amanda accompanied Jocelyn on her visit and subsequent meeting with the Bryant coaching staff and were both very pleased with Jocelyn’s decision to make her verbal commitment to Bryant. The recruiting process can be a challenging even a daunting pursuit. After preparing herself the last several years at Fastpitch Dynamics, Jocelyn had to skills and the work ethic and the academics to attend most of the Division I Universities on her list, but either the timing was not right or the schools had already recruited a 2018 pitcher. Jocelyn attended countless college clinics hoping to gain interest and stayed in contact with all those schools. After a tremendous high school career pitching from Cumberland High School Jocelyn posted a record of 16-4 and scant ERA of 1.30. She was coming into her own and in my humble opinion was one of the best leftie pitchers in New England. Jocelyn entered the summer showcase season on fire. Her velocity was up, her drop was biting sharp and her change-up was almost unhittable. By the time of the New England Finest Showcase held in Plainville, Mass each year Jocelyn was being followed by four Division I programs and several Division IIl schools. I thought was for sure that Jocelyn would receive an offer, but the process continued. There are times when I am too close to see the incredible progress from some of my pitchers and that was the case with Jocelyn. It was while speaking to a college coach about Jocelyn, she suggested that it would be in Jocelyn’s best interest to make another college skills video which we promptly did the following week. 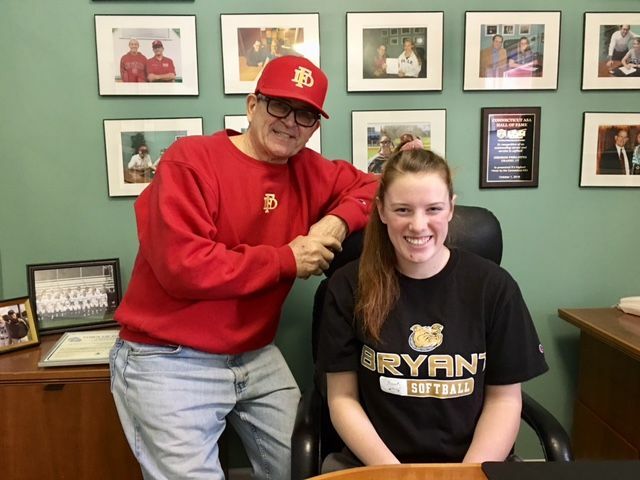 I was aware that the Bryant University campus was only a short drive from the Bodington home but I also knew that Jocelyn was interested in becoming a business major so of course I emailed her new skills video to Coach Shayne Lotito. I received a phone call 2 days later from Bryant Assistant Coach Aubrey Mable who wanted to visit my pitching studio to personally observe one of her workouts. Coach Mable was so impressed by Jocelyn during her lesson Jocelyn was invited to visit the Bryant campus as soon as possible. Jocelyn then made her verbal commitment 2 days later. I had the pleasure of watching Jocelyn pitch in high school and on her travel teams and it was clear she was a very tough competitor and a “bulldog” of sorts, not “giving-in” to hitters regardless of the situation. I find it very fitting that she will the playing softball for the Bryant University “Bulldogs” in the fall of 2018! Over the years I have seen pitchers plateau after making their verbal commitment, but knowing Jocelyn as a do, she will continue to work hard and improve throughout her softball career. Congratulations Jocelyn, we are all very proud of you! 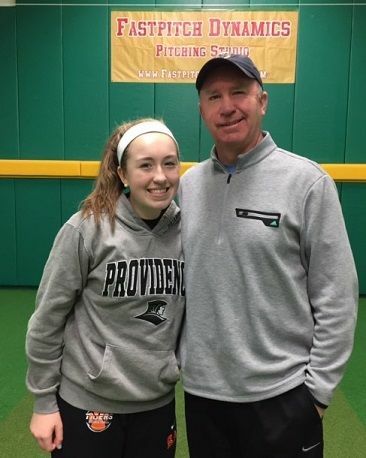 I am extremely pleased to announce that Julia Murphy has made her verbal commitment to attend and play softball at Providence College. Julia is the daughter of Michele and Tom Murphy of Pittsfield,MA and is a senior at Suffield Academy. Mom and dad are very excited to have Julia commit to Providence College and know that she would be a short drive from home and they could attend most of her games. Julia and is looking forward to beginning her college career in the fall at Providence. Julia played her youth softball in the Pittsfield,MA and played for several regional travel programs before trying out for the KOD Intensity program for the last 2 years. Joining and playing with the KOD organization was instrumental exposing Julia to the best competition in the US playing in major showcases in New Jersey, Florida and Colorado. By pitching against the best teams in the US prepared Julia is ways nothing else could do. Over this past summer, Julia was followed by several Division I programs, but it was at the Independence Day Tournament in Boulder, CO where Julia was first scouted by Coach Kathy McLaughlin from Providence College. Julia did not have overpowering speed that weekend, but opposition teams were kept off balance with her movement, location and changes of speed. It was that particular quality the coaching staff at Providence loved. Subsequent to the IDT showcase Julia was invited to visit Coach Jacklets are Providence College where Julia has the opportunity to meet the team and tour the campus. It wasn’t long after Julia’s visit that she decided to verbal to Providence. Julia was referred to me by some of my old coaching friends and they explained that Julia had the drive and some of the qualities to pitch at Division I, so I offered Julia an opportunity to join my program. Julia and her dad Tom were a great team and a delight to work with over the last 2 years. Julia like many pitchers in my college program, Julia did everything required to include goal setting, academics requisites, 2-3 practice sessions outside of lessons and strength & conditioning. We all look forward to following Julia’s career at Providence College and if she continues to work hard in the classroom and in the circle only good things will come. Congratulations Julia and GO FRIARS! I am very pleased to announce that Sara Kennedy has made her verbal commitment to attend and play softball at Villanova University! Sara is the daughter of Dan and Jen Kennedy of Newtown, CT and they were thrilled that Sara decided on Villanova University. It was clear early in the recruiting process that Sara’s academic needs would form the basis of her final decision but Sara discounted that she would be recruited by so many top academic schools. 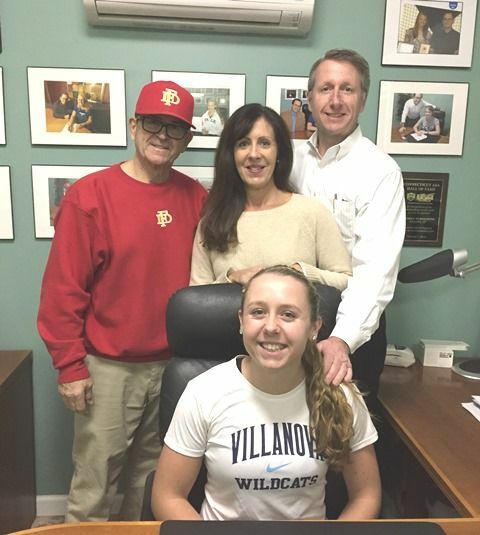 Ultimately, Sara was overwhelmed with Villanova University, the softball program and the coaching staff especially Head Coach Maria DiBernardi who has been at the Wildcat’s helm for 30 years. Sara started training at Fastpitch Dynamics in 2015. Although Sara was only 5’3”, it was very clear she was as motivated as she was athletic. Over just few months Sara quickly increased her speed and added a spinning change-up and drop to her pitch selection. Never did I once have to prod or encourage Sara. Whether Sara was walking into a lesson and walking in the circle, she was “All In” and gave me her very best……she is an idea student. Last year, Sara was an unknown quantity on the national softball scene and played for some local and regional travel teams but in the summer of 2016 she guest pitched for TNT Gold in a PGF qualifier in Pennsylvania and also Newtown Rock Gold at the Independence Day Tournament in Boulder, CO. In my opinion, the IDT offers the best competition in the US and is representative of Division I play. Facing many power-house teams at the IDT prepared Sara in ways nothing else could! On Sara’s return home she rededicated herself to become a much better pitcher and went to work. Sara improved so quickly that Newtown Rock Gold asked Sara to permanently join their program in September. During this time Sara was gaining much more than speed, she was gaining confidence and a great deal of swag. By the time Sara joined Newtown Rock Gold for the Diamond 9 Showcase held in Orlando, FLA, she was on fire and college coaches from no less than eight Division I programs took serious notice. Sara returned home and found herself being recruited from several programs. Sara arranged her campus visits and was committed to completing all her visits………until her visit to Villanova. After visiting with the Villanova coaching staff, touring the campus and meeting the players, Sara knew Villanova was the only place for her and verballed a few days later. Sara continues to improve and I am thrilled to be a part of her development. Sara has 18 months to continue working and I have few reservations that Sara will become a winner pitcher in the Big East. Sara also serves as an example and her experience sends a strong message to young pitchers everywhere that it doesn’t matter how big or small you are, it’s the size of your heart that matters. Congratulations Sara and Go Wildcats! Recenty, I was very honored to be inducted into the Connecticut ASA Hall of Fame this year along with 6 other former players. Fast Pitch Inductees, Patti Fernandes, Rick Diniz, Bill Baer, Ludger Bedard, Scott Lund, Scott Phelps and Bob LaMay. The banquet was held at the Costa Azzura Restaurant in Milford, CT and I was thrilled to have family, friends and some of my Fastpitch Dynamics parents and pitching students in attendance. It was a terrific event and a fun time for all. Thank you all for attending! As I look back of the 5 decades that I played, coached and taught the sport, I can’t help but be humiled by it all. Softball has enriched my life is so many ways and I will remain forever grateful. As long as I remain in good health I will continue to teach the sport I love. It is truly the best sport ever invented! The mission of the Connecticut ASA shall be to promote amateur softball for all persons, to provide organized play under standard rules for all amateur teams, to provide standards of eligibility for all players and to provide tournaments leading to State and National Championships.